To communicate with friends via Skype, you must first create an account, or, simply, up. About tom, how to do this, see here. opens registration page, which you will need to enter your name, as well as the e-mail address. In addition, you can specify the date of birth, city ​​and country of residence, tongue, Telephone number. The following field How do you intend to use Skype? If the program is necessary only for private conversations with friends and relatives, it is better to choose "Mainly for private conversations». If you plan to use Skype to communicate with customers, it is better to choose "Mainly for business». In this case, open a few additional fields, where you can enter the name of the company and number of employees. below, enter login. Username must be unique, ie. 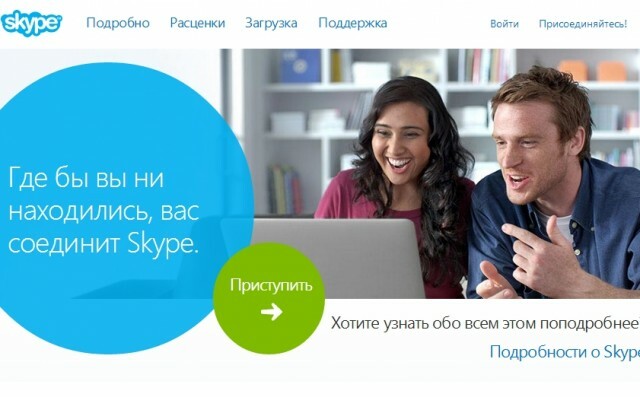 on Skype should be no one, registered under the same login. To check, whether or not login is free, Click on the blue circle with a question mark, which is right. If the username is busy – a message appears and you are prompted to use multiple variants of similar names. by the way, it is not desirable to use the complex unreadable logins. This name, of course, It will be unique, but few people will be able to remember it. Once entered login password. But he, as time should be as large and complex. Just in case, write it down on paper. After that, your mailbox will receive a letter with reference. Follow the link and your registration will be complete. 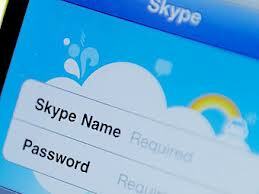 when you start Skype You can enter your username and password.